Ectopic impulses which are premature in relation to the expected impulse of the basic rhythm. 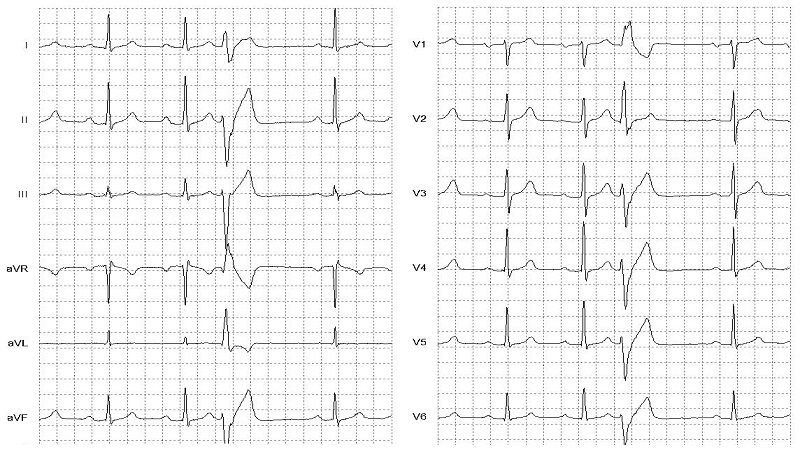 QRS is abnormal in duration (>120ms.) and configuration with accompanying ST segment and T wave changes. Not occuring on the T-wave of the preceeding beat. Typically followed by a compensatory pause. Retrograde capture of the atria may or may not occur.